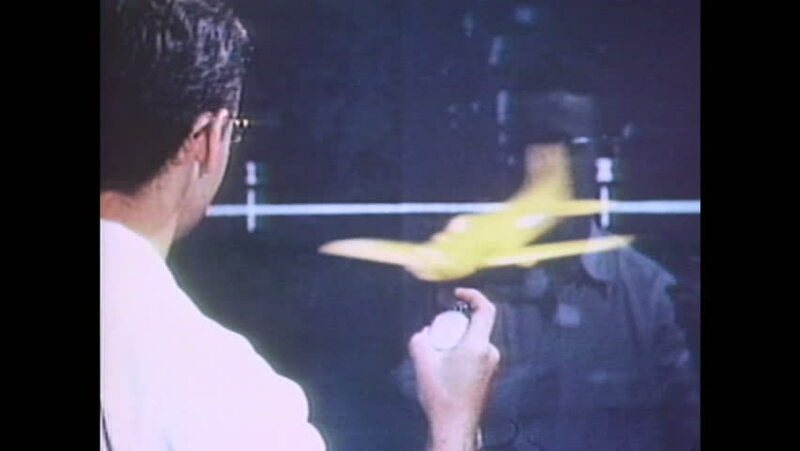 1960s: Man with stopwatch observes model aircraft spinning in wind tunnel. Model aircraft spins in front of measuring line. Fan spins. hd00:191950s: Hand dips swab into vial then wipes it in petri dish. Petri dish is half covered and placed under ultra-violet radiation. hd00:59CIRCA 1970 - The Apollo Soyuz Mission of 1975.
hd00:13Turkish kebap preparing. Man hand preparing traditional delicious turkey shish kebab skewer made of meat. Cooking. hd01:08CIRCA 1963 - A montage shows some of America's economic and defense needs.